25 ft. RG6 Quad Shielded Coax Cable in Black For a connection between the device and device, transmission data and signal. UL certified high-quality cable. With two UL F-connectors on each end. 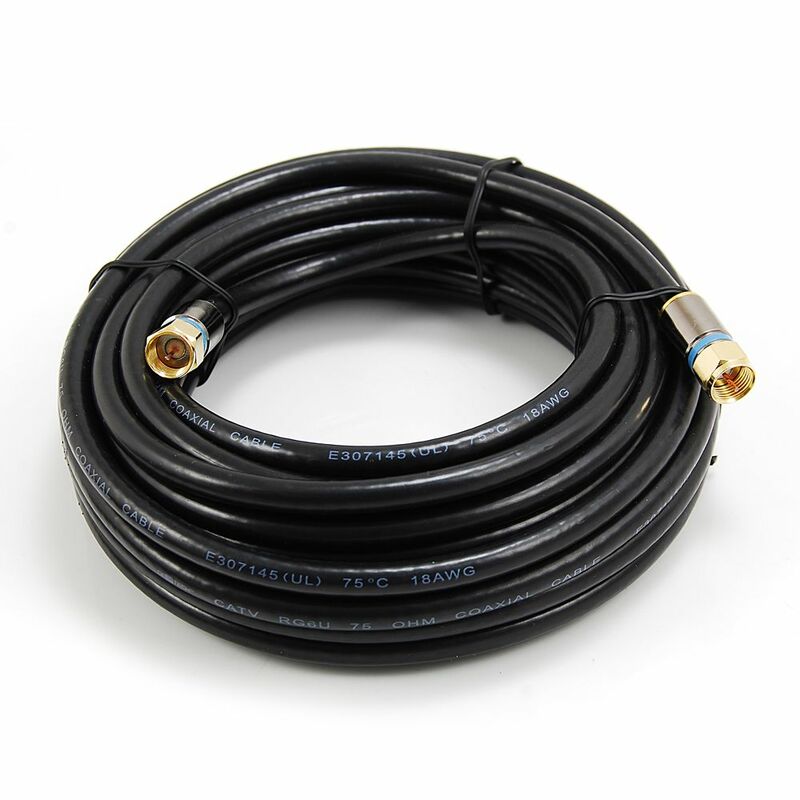 25 ft. RG6 Quad Shielded Coax Cable in Black is rated 4.5 out of 5 by 19. Rated 5 out of 5 by HomeDepotCustomer from Very well made. Great quality.... Very well made. Great quality. Rated 5 out of 5 by Rik from I used this cable to run signal from an attic... I used this cable to run signal from an attic mounted tv antenna to 3 tv’s in the house. The cable worked as described, no signal loss that I can see or any electrical interference as the cable sits on electrical cable in the attic. Rated 1 out of 5 by DonnyG from After I installed this cable I had problems with my... After I installed this cable I had problems with my internet. Long story short, some of the braid made contact with the core. The Cox tech found it and corrected it. Rated 5 out of 5 by GrandpaJerry from Handled higher frequency range of current signals. Handled higher frequency range of current signals. Rated 5 out of 5 by HomeDepotCustomer from Quality Cable .... Quality Cable . Rated 2 out of 5 by ProfessionalAVinstaller from This cable is inflexible and overly expensive for the limited... This cable is inflexible and overly expensive for the limited quality. Rated 5 out of 5 by Merek from It works, transmits audio and video signals 25 feet with no problems. It works, transmits audio and video signals 25 feet with no problems.